Kimchi has been getting a lot of love lately. 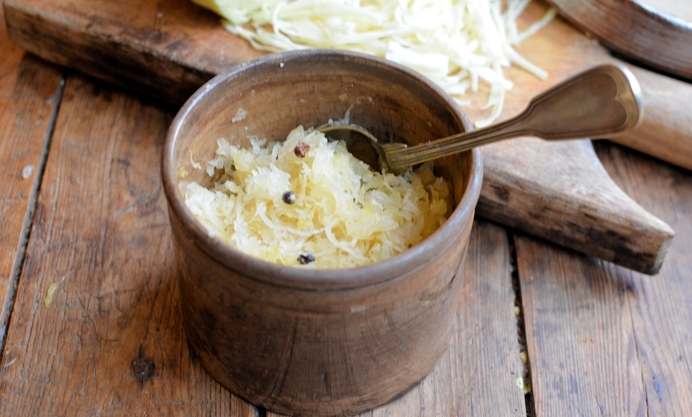 Now Karen Burns-Booth shines a light on how to make sauerkraut, its humble cousin. 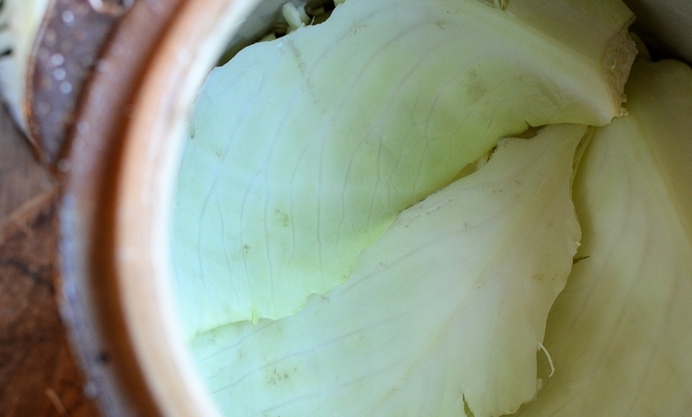 Discover how to make this tasty fermented cabbage that can be used in a range of recipes or as a side dish. 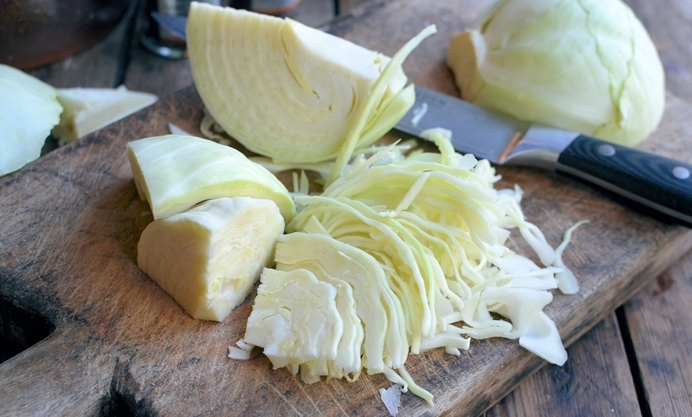 There seems to be an explosion of raw, home fermented cabbage recipes online lately, with recipes for kimchi and sauerkraut everywhere…and with the rise of Korean cuisine in the UK it’s easy to see why kimchi is so popular. But, what about its humble and not so exotic cousin, sauerkraut? I love the stuff and use it in a variety of recipes from Reuben sandwiches and hotdogs to boiled ham…it’s such a versatile and low calorie recipe, so perfect for my 5:2 diet fast days too. 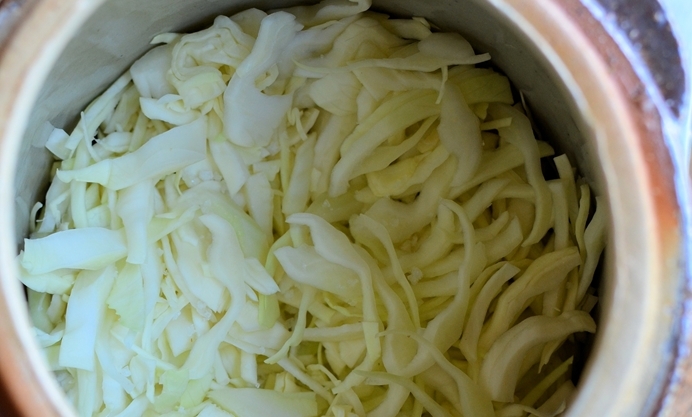 My recipe for today is simplicity itself and after about 4 weeks you will be rewarded with a lovely pot of sauerkraut. 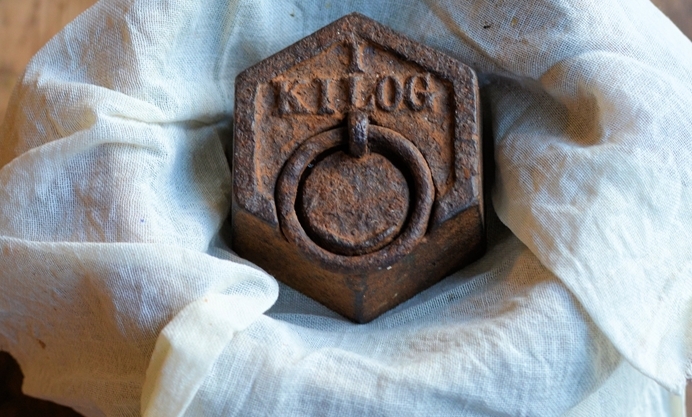 Once the kraut has fermented, you can store it in the fridge or somewhere cold, for up to a year. I like to add a couple of aromatic spices to my recipe, juniper berries and caraway seeds, but if you aren’t a fan of these two spices then by all means omit them. Once fermented, I also like to cook my sauerkraut (to accompany meals) with white wine, usually Riesling, as well as eating it as it is with salads and in sandwiches. If you follow the recipe method below, then in about a month, you will also be enjoying the benefits of deliciously, fragrant home-made sauerkraut. My suggested recipe for serving is Polish Sausage and Sauerkraut Casserole with Beer, a typical Polish recipe that is hearty and comforting, and that can be cooked in a slow cooker making it an ideal recipe for any midweek family supper dish. 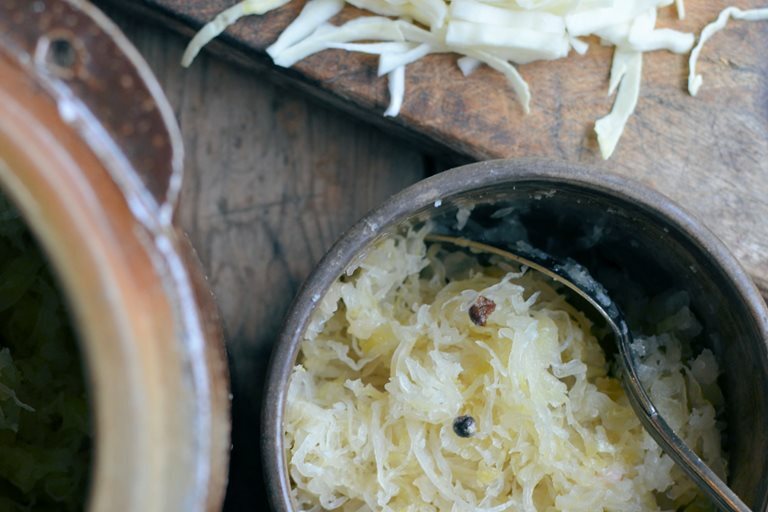 You don’t need any special equipment to make sauerkraut at home, although a special sauerkraut pot can make the lacto-fermentation process a little easier. I used an old ceramic crock for my recipe and along with some muslin and a couple of heavy weights, that’s all that was needed.